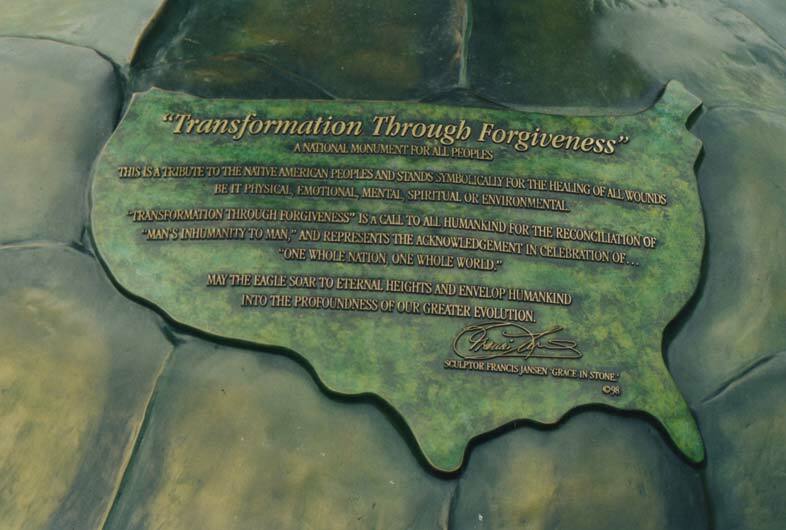 The Monument to Forgiveness was donated to Northeastern State University in Tahlequah, OK, which is at the end of the Trail of Tears. 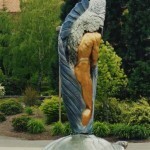 In return, we receive its miraculous life support systems and resources. 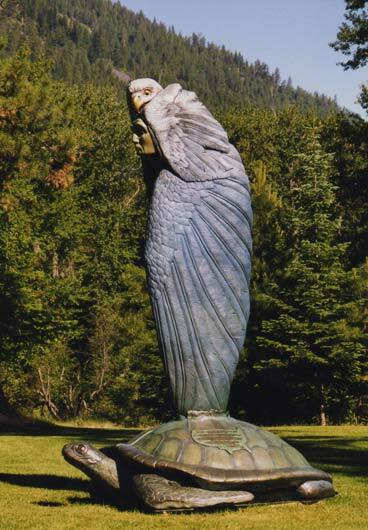 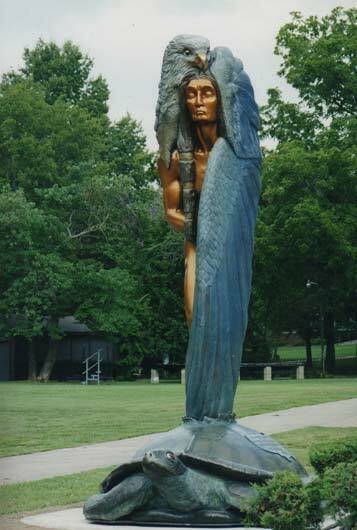 The monument became a popular local attraction, with flowers, eagle feathers, Native American Sun-dance ribbons, forgiveness-letters, fruit, and many other gratitude objects, left daily around the base in acknowledge of the purpose and meaning for reconciliation and forgiveness that the “Forgiveness” monument held for the populace. 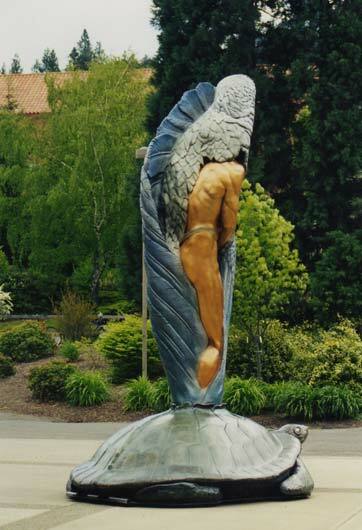 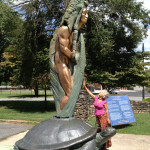 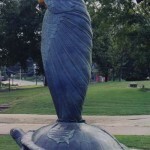 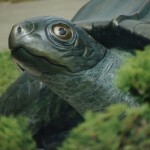 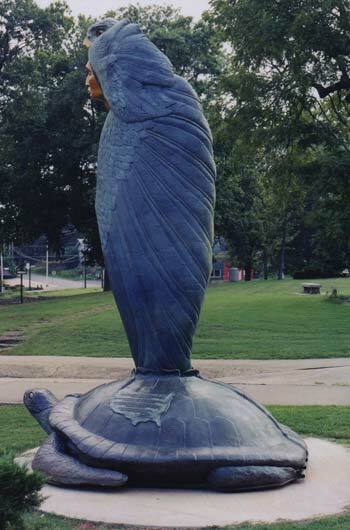 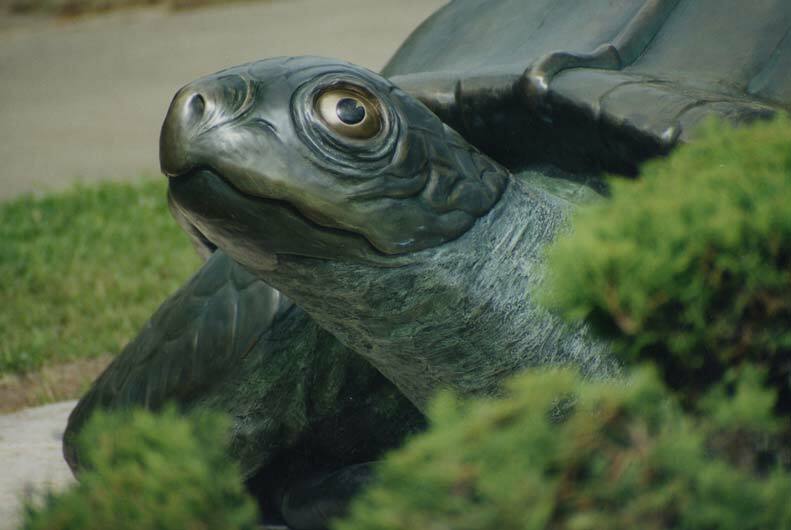 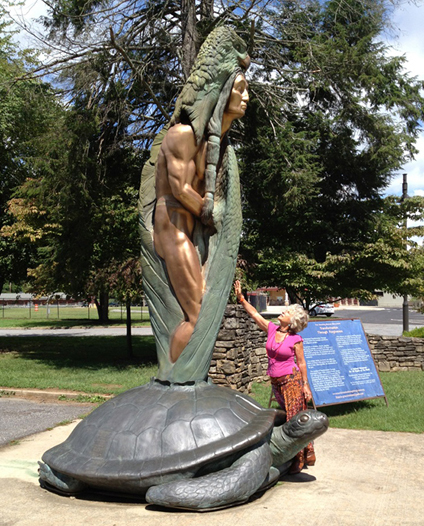 The Traveling Bronze Forgiveness Monument, a 14-foot tall replica with a large Turtle for its base was created and is touring our nation petitioning Forgiveness for our for-fathers, and then all of our fathers. 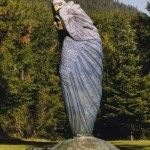 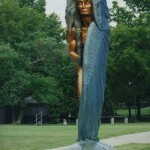 The Monument was created by Dutch-born visionary sculptor Francis H. Jansen. 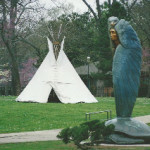 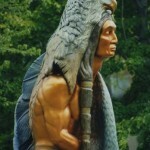 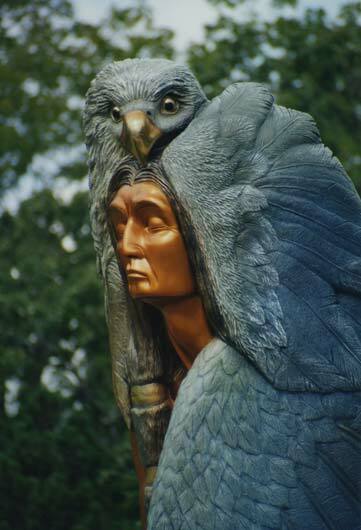 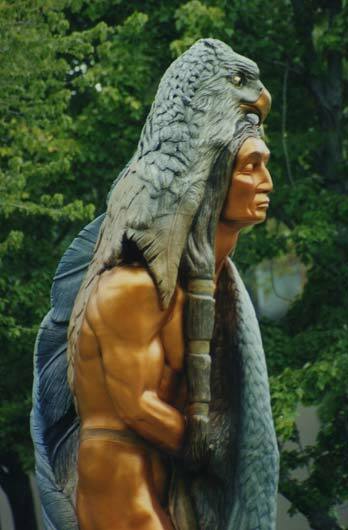 It was gifted to Northeastern State University to honor Tahlequah as the End of the Trail of Tears. 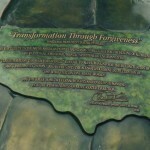 “To inspire, evoke and encourage in all humankind the spirit of reconciliation, transformation, and unity through forgiveness”. 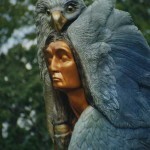 The Trail of Tears, called” Nunahi-Duna-Dio-Hilu-I” by the Cherokee for “Trail Where They Cried”, was a deeply tragic journey during which more than 100,000 Native Americans –- Creeks, Chickasaw, Choctaw, Seminole, and Cherokee—were forced from their native lands. 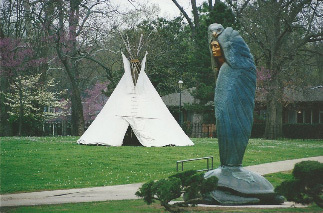 Tahlequah is the site of one of the final destinations of this forced 1000-mile march.